WWE Hall of Famer Hulk Hogan will be on hand for WrestleMania 35 weekend. In less than two weeks, WWE will take over the New York City area. In addition to the multi-day WrestleMania Axxess fan festival, WWE will hold a wide range of local events, including hospital visits, reading challenges and media appearances. 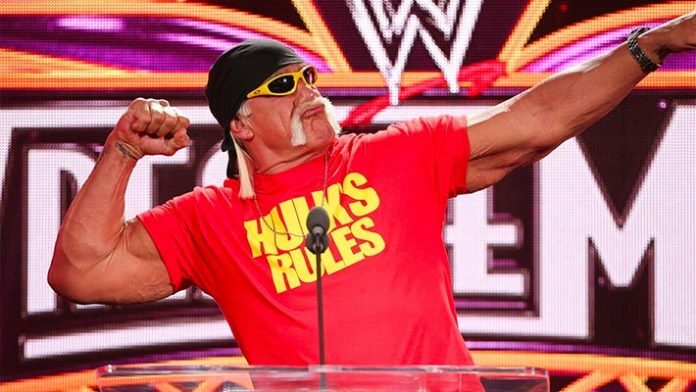 With Hulk Hogan back in WWE’s good graces, PWInsider reports that the Hulkster will be part of the WrestleMania weekend activities for the first time since 2015. Hulk Hogan was reinstated into the WWE Hall of Fame last summer after a 3-year hiatus from the company. He returned to WWE television at Crown Jewel in November. He most recently appeared on Monday Night Raw to pay tribute to the late “Mean” Gene Okerlund. WWE WrestleMania 35 takes place Sunday, April 7th from MetLife Stadium in East Rutherford, NJ.